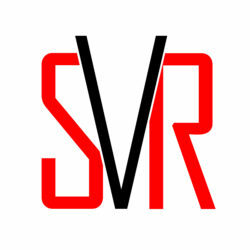 Today on Save Vs. Rant, out episode is about the Halloween game Jeremy runs annually, and the art of the bespoke gaming experience. Is the title a bit much? Too late to reconsider! We’re committed now! Let’s dive right in! “The Halloween Game: A Bespoke Gaming Experience” – there’s a lot to unpack in that title. Halloween – What is Halloween about? I don’t mean, of course, its oft revised and dubiously reported origins, but its modern connotations. Candy. Costumes. Make believe. The fun of voluntarily being scared. Horror movies and ghost stories. Parties. Celebrating autumnal fear tropes. That’s what this game is largely about. Pumpkin monsters. Cenobites. Scarecrows. Trick or treats. 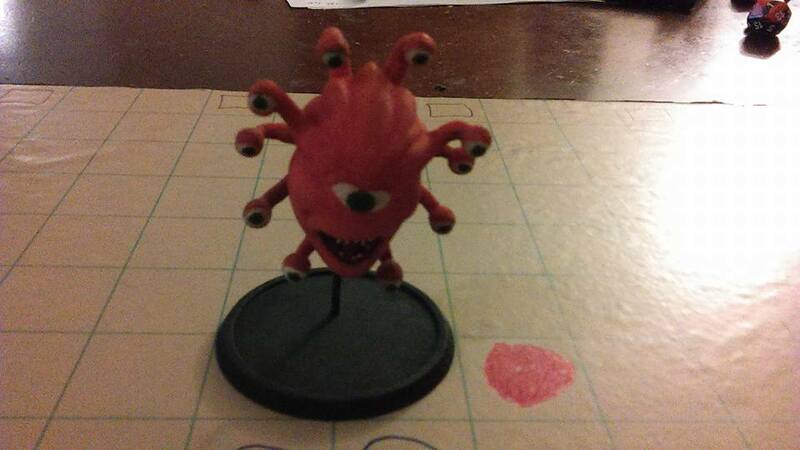 Game – This game is D&D 5th Edition. Simple enough. 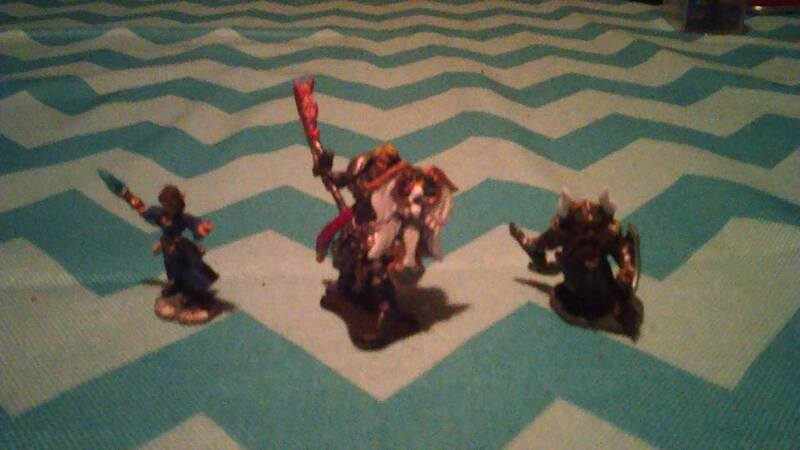 Some player character miniatures that were provided for players that didn’t have their own. Since the game was meant to be accessible to new players, this let them feel included and a bit less intimidated when veteran players had their own miniatures. Bespoke – A (somewhat pretentious) way of saying “made to order.” Boutique. Unique. Exclusive. 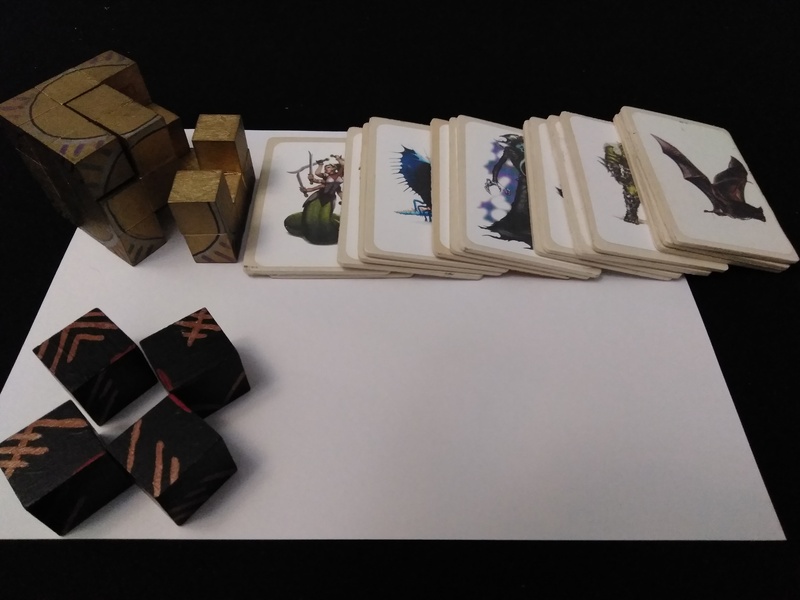 Every homebrew game of D&D could, in a sense, be described as bespoke, but, in this case, the emphasis is on not only the game but the craftsmanship of components. The handmade puzzles, the unique components. The ongoing story. A puzzle that, it should be noted, was not as simple as just matching colors. 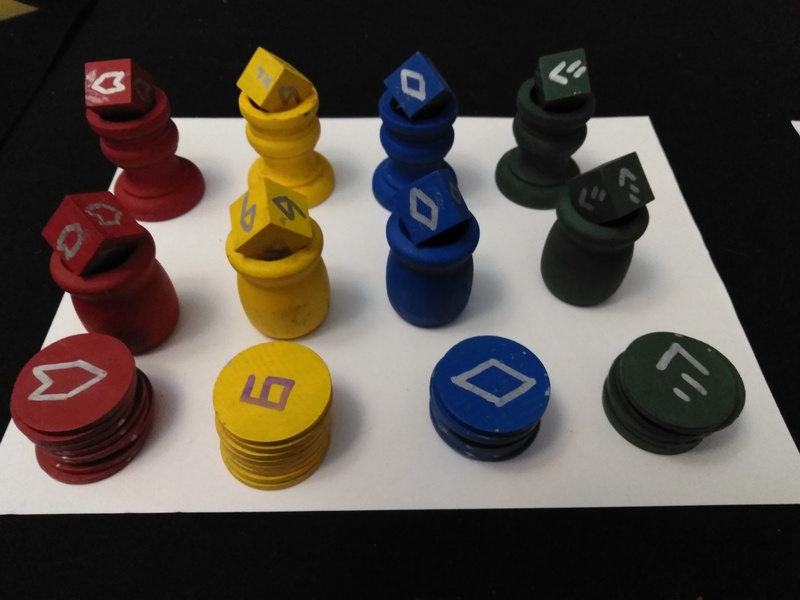 If you look carefully, you can see the silver marks on the stacks of coins, which help to indicate which cube goes upon which colored dais. Gaming Experience – One thing the modern era of open source and narrative driven games has done is create an incredible array of options, allowing nearly unlimited opportunities for truly unique games. An unfortunate side effect of this is the loss of shared experience in gaming. In the bad old days of D&D 1st and 2nd Edition, while homebrew games were common, so, too, were players who played – nay, devoured – the pregen and tournament modules that were available. Many gaming groups could find shared history in The Keep on the Borderlands, Dragons of Autumn Twilight, The Tomb of Horrors and other classics, and players often swapped stories of their approach to the challenges thereof. The Halloween game is an opportunity to return, in part, to that philosophy, as it gives the players a change to compare their notes, discuss approaches and share stories. A puzzle requiring the placement of blocks. 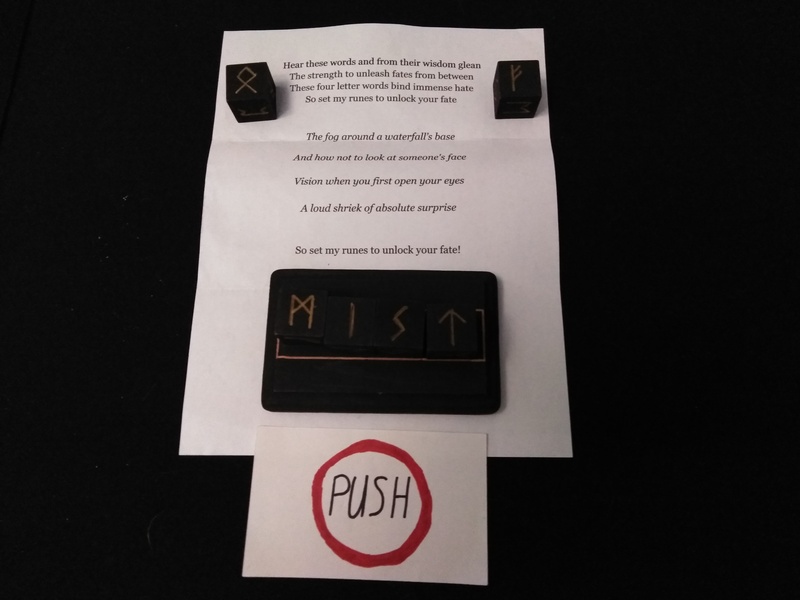 Physical components increase the immersion of the players, and the expectation of somatic actions (pressing the button, placing the tiles) make it clear when the consequences of a mistake will be suffered. Prior to the beginning of the tradition, Jeremy would run a game in October with the intent of playing the same brief modular scenario with groups he did not typically play with. These proto Halloween games were frequently adaptations of existing modules. Starting with The Grinning God, in which the player characters were chasing a curse levied by a malicious beholder-esque jack o’ lantern god. 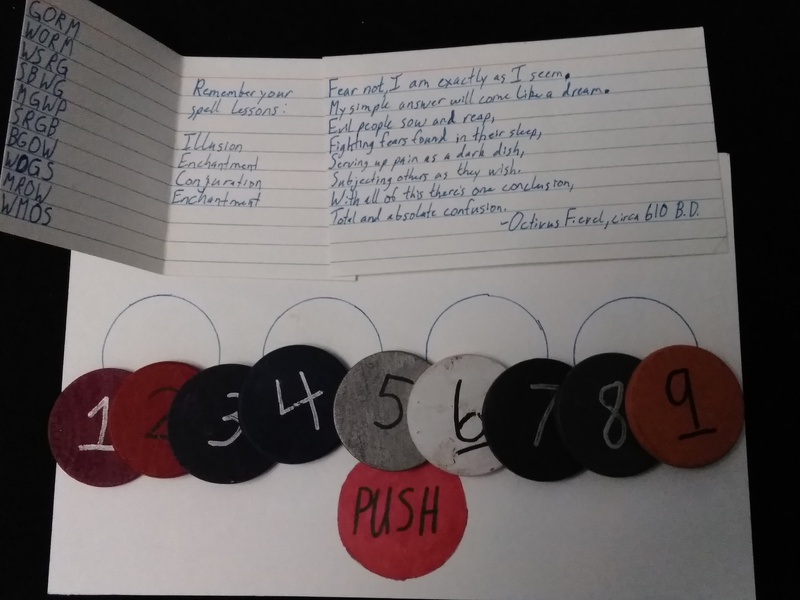 This game had some fairly simple puzzles with a few physical components that could be manipulated, and introduced the existence of time limits and the bloodstains that marked the positions of dead player characters. 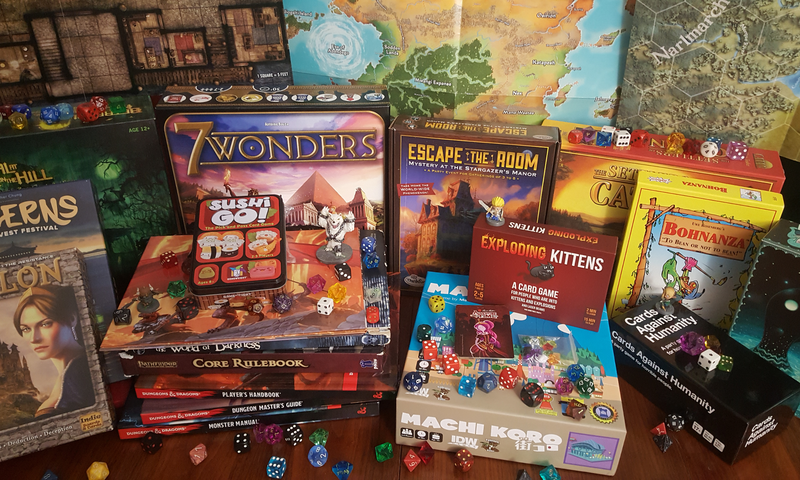 The response was enthusiastic, and a Tabletop Gamer’s Guild tradition was born! How do you make puzzles like this? Well, to begin with, usually you want to work backwards. Come up with the solution to the puzzle, then work backwards to a scrambled state that makes the solution obscure. Add a few clues as to how to solve the puzzle and, if possible, a red herring or two. It never hurts to playtest a puzzle, ideally with someone who does not intend to play in your module, and increase or reduce how well concealed the solution is based on the results. The “puzzle box” based on the Lament Configuration from Hellraiser, a set of squares that would form a symbol when properly aligned, and a meta-puzzle wherein players were required to line up monsters from lowest to highest CR. At least one meta-puzzle involving mastery of the game by the players was included in each dungeon. 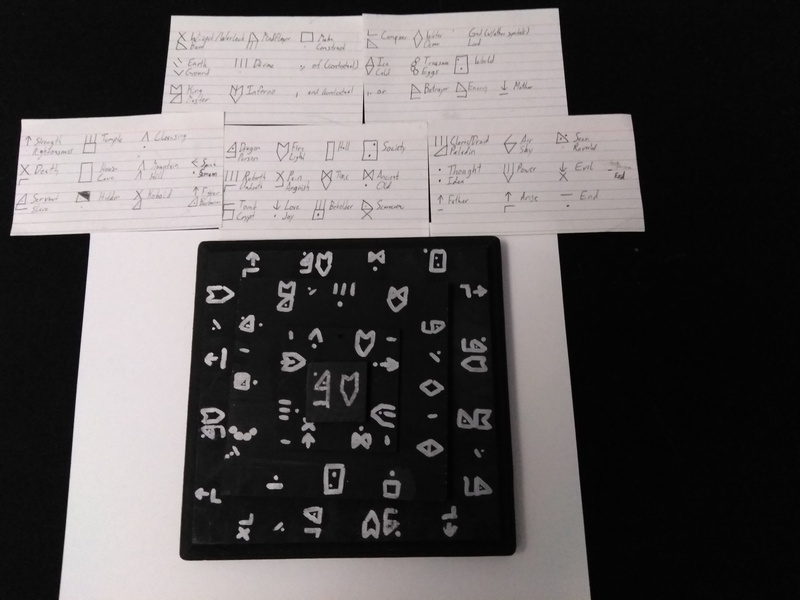 The most obvious puzzles are word puzzles, and the use of runes, roman numerals concealed in words, and even fantasy languages can add a lot of variety and spice to these puzzles. Use caution when employing non-native languages, however – you aren’t Tolkien, and no matter how clever you are, the players probably don’t want to have to go through a course in linguistics to enjoy your dungeon. A particularly vexing meta-puzzle, in part because of how busy it was. The number of red herrings present is very nearly mind-boggling, but the solution is fairly intuitive. Meta-puzzles can be fun. While a lot of DMs are afraid that any meta-material (references rules or out of character / game concepts) ruin the mood of the game, in a one-off game like the Halloween dungeons, they can be an enjoyable and welcome change of pace. Be sure that the concepts are correctly transcribed. Nothing is as vexing as a puzzle that can’t be solved correctly because the answer is wrong. This puzzle is a little tricky. Aiding in its solution were some “purple torches” that could be obtained in the puzzle. Players who took the purple torches were given blacklights they could shine on various components to reveal hidden marks that hinted at the solutions. Don’t stress out about being extremely creative or original. 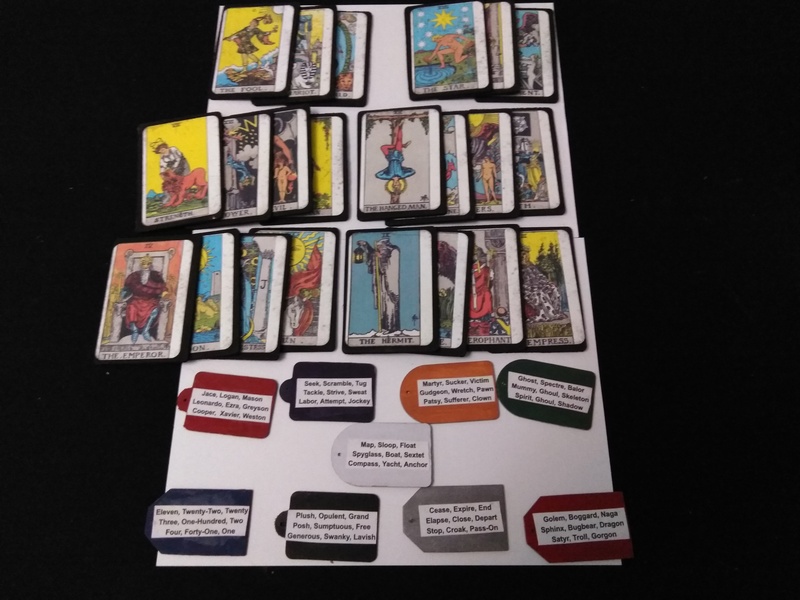 It’s ok to use familiar trappings like tarot or conventional playing cards, riddles, runes or mythological sources. These all give an air of familiarity to the material, which makes it feel comfortable and accessible to the player characters. A few more puzzles, each on wooden tiles. 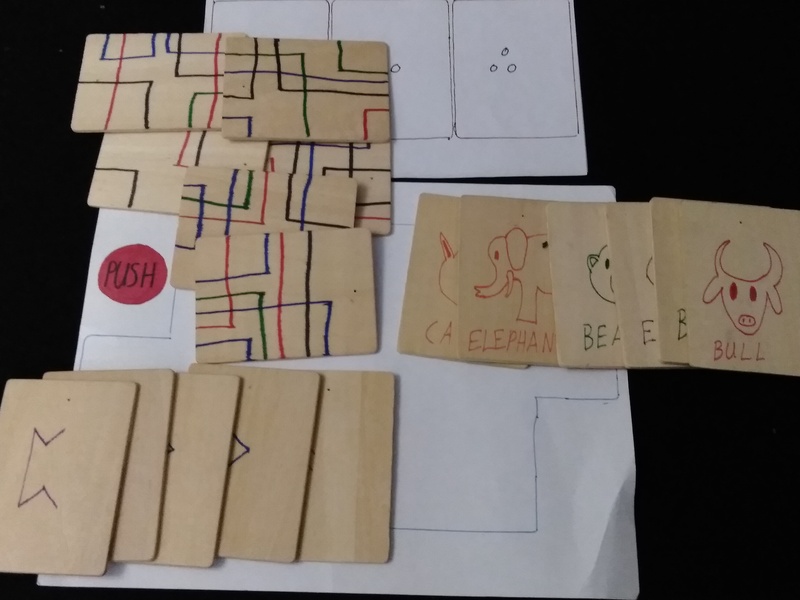 The use of the denser, busier wooden components allowed the players to have more of a touch-pleasure experience with the game. Finally, the dungeons, while each featuring branching paths, largely avoided tricks and trappings that would require extensive retracing of steps. This lends itself well to a forward motion experience. In the case of the Grinning God, there was only one ending. In another, there were several individual dungeons to choose from. In still another, there was a central hub with multiple paths. In each case, the goal was to not make the adventure too open ended and sandboxy. In this case, an “on rails” experience was desirable to keep the action moving. Finally, subtly and importantly, there was a need to have the adventure on a real-time clock to ensure that the game would not drag and that the player characters would be encouraged to make bold moves, lest they run out the clock. It is our sincere hope that this episode and its accompanying blog post inspire at least one person to try their hand at running their own one-off game with the intent of playing with groups that they do not normally game with. This episode it a bit of a hint at the Open Table concept that is growing in popularity in the gaming community, and that we hope to see more of in the future.